I was speaking with someone recently who works for a ski resort that had wanted to find a Blue Ocean Strategy several years ago. Skiing and snowboarding were not growing, and mountains—whether they were destinations or weekend retreats—needed to find more nonusers to enjoy the experience. Unfortunately, their Blue Ocean Strategy had not taken them very far so they abandoned it. While disappointing, this was not unfamiliar. At SAMC, we often work with companies that need or want to change and that think, perhaps, they too can be a Blue Ocean success story. What we find is that they can, but it requires a combination of a crisis, a willingness to make the unfamiliar familiar and a Blue-Ocean style toolkit that can provide process and comfort to the unknown. The fact that this ski area had not succeeded was disheartening. What might they have done differently to find and implement a Blue Ocean Strategy? In a 2014 HBR Blog, “Getting People to Believe in Something They Can’t Yet Imagine,” Lee Miller, Managing Director of Advanced Human Resources and Kathleen Hayes Onieal, co-founder of Helix Innovation Network, together tell a story about Microsoft and the early development of its “Courier” tablet that could have easily outdone Apple’s iPad. In development and well under the radar, Microsoft's product was coming along impressively until a leak to the press changed everything. Rather than a low-profile test market concept, it became a complete Microsoft-wide scramble to get their product to market before someone else, namely Apple, poached the idea. Finally, Microsoft CEO Steve Ballmer shut down the entire effort, deciding to focus on current product lines instead of innovative new ones. It's hard not to wonder what Microsoft thought when the Apple iPad came out and took over the market—instead of theirs. In order to better understand how business leaders bring the new and innovative to markets in spite of forces that challenge the new and question the unknown, Miller and Onieal conducted research among a wide range of CEOs. Here at SAMC in our work with CEOs throughout the US, Canada and Mexico, we find similar challenges but different approaches to making new ideas work. It was not very surprising to learn about the ski area abandoning the Blue Ocean Strategy and returning to their old "red ocean" with abundant competition and diminishing demand. People—leaders and their followers—are safest in what is familiar and well-known to them. Their brains, as I have written elsewhere, hate to change. And cheaper is not an effective way to adapt to changing times. Indeed, it leads to commoditization and all-too-often, decline or disappearance. What we find when working with CEOs and their staff is that the unfamiliar gets in the way of creating the new. The front-end of innovation, the fresh ideas that emerge, are challenging but fall into familiar skills that people can apply. But when it gets time for the back-end, things fall apart. Some of the reasons why are floating around in the literature of today. In Rita McGrath’s new book, “The End of Competitive Advantage,” she speaks about the kind of people needed at different stages in an innovative process. Those who are great at ideation are not always the ones you need to convert those ideas into testable concepts and evaluate them in test-markets. Few companies invest in the skills required of a Chief Innovation Officer, or even a Chief Strategist, both of whom fundamentally understand how to deconstruct a problem and then reconstruct the ideas into bundles of possibilities. Change, great ideas and terrific products are never easy. Tell me the last time you adapted or adopted something that was dramatically new—personally or professionally. Let’s see if you seek the new or flee from it. Who on your team is going to become the chief of a new strategy? How are they bringing the right skill set to the journey? How are you going to mentor them, recognize their efforts, protect them from the naysayers, and envelope them with the space to successfully innovate? What type of culture do you have today? Will it be the right one for tomorrow? Is your culture one of structure where the “rules rule” or rather, a place where ideas can flourish? A place where the comfort of the team or the family firm challenges those who want to step out of the familiar and try the new? Or are you a culture of results without the patience for discovery? Ask yourself these same questions and ask your leadership team as well. 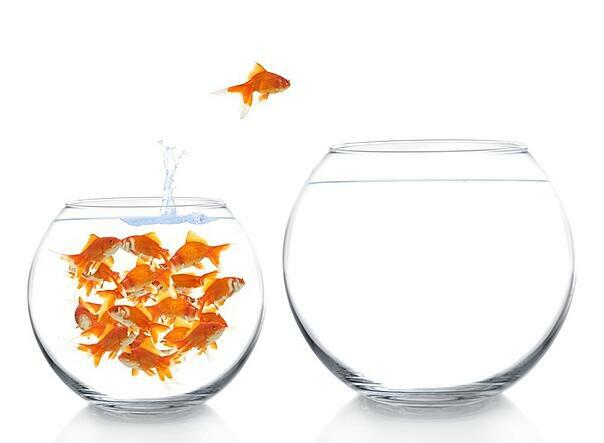 See if you are ready to change, maybe even find your Blue Ocean Strategy. Like it or not, you are going to have to seek new markets and create demand or find your company sucked back into the past. For the sake of your business, I hope you choose the former. At Simon Associates Management Consultants, we specialize in helping companies find their Blue Ocean business opportunity. To learn more about how this can turn your company around and set you on the path to growth, please contact us for a $100 1-hour consultation. Think of it as sampling who we are and what we do. (If you hire us, we reimburse the fee.) Who knows what new possibilities are waiting for you? We look forward to hearing from you.